What did the early medieval Japanese monarch eat at banquets and his daily meals? How was the food prepared and served? 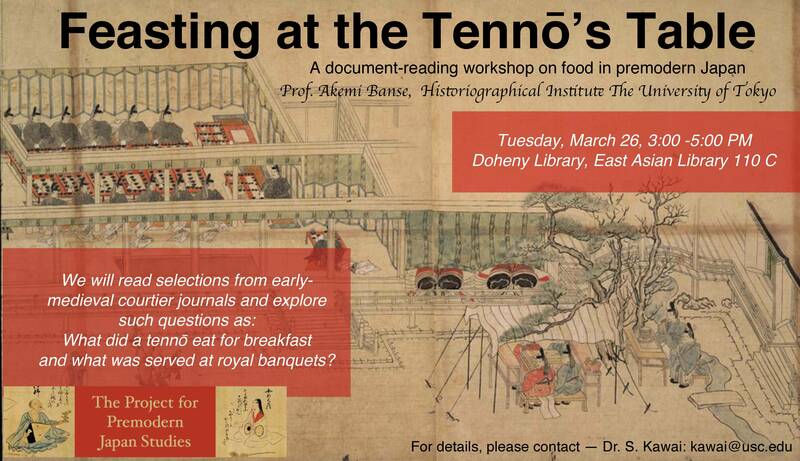 Professor Akemi Banse of the University of Tokyo Historiographical Institute will examine these questions in a document-reading workshop focusing on courtier diaries between the eleventh and thirteenth centuries. 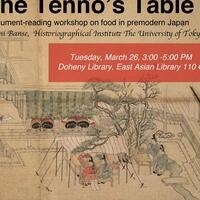 The workshop will take place from 3-5 PM on March 26 in room 110C of the East Asian Library (Doheny Library), University of Southern California. Professor Banse, an associate professor at the Institute, studies the Heian and Kamakura periods (794-1333), especially political issues, women and gender, and estates. For details please contact Dr. Sachiko Kawai - kawai@usc.edu.